For women all over the world, PANDORA charms have become a way for them to express their own unique style, pay homage to loved ones and honor special memories—as well as add a little extra flair to whatever outfit they’re wearing. From sizing a bracelet to how much charms cost to ideas for building the perfect charm bracelet, below we dive into a number of different topics to give you everything you need to know about PANDORA charms. PANDORA charms are all expertly crafted using genuine materials to offer women excellent quality and hundreds of beautiful options that fit their style and personalities. Different types of PANDORA charms include Sterling Silver, Gold, Silver and Gold, Pandora Rose™, Murano Glass, PANDORA ESSENCE, Disney, Baseball and Football. Of course, there are many more categories of PANDORA charms to choose from! Browse all PANDORA Charms. PANDORA sterling silver charms are perhaps some of the most popular charms in our collection. From simple to fancy and plain to ornate, there are nearly 200 sterling silver charms to choose from, and all are 92.5% (.925) pure silver and nickel free. PANDORA gold charms are available in 14K yellow gold, and come in both simple and elegant designs. 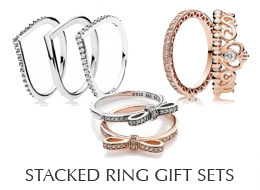 Styles may include precious stones, pearls, cubic zirconia and even diamonds. Two-tone silver and gold PANDORA charms feature a charming mix of both beautiful metals, and bring a unique shimmer to any bracelet or necklace. PANDORA Rose™ charms are made from a new metal blend that adds a touch of pink to your bracelet or necklace. PANDORA Murano charms are hand-crafted from Italian Murano glass and add a unique pop of color and design to your jewelry. All the colors and designs are actually in the glass, not painted on the outside. The ESSENCE COLLECTION is a line of charms and bracelets that aim to symbolize your inner values, hopes and desires in life. The bracelets are more slender and the charms are more delicate and petite. Like the charms in our signature collection, ESSENCE charms are all hand-crafted from genuine materials. One of the most popular types of PANDORA Charms are PANDORA Disney charms, which capture all the magic and imagination that your favorite Disney characters have inspired in your life. From Tinkerbell and Minnie Mouse to Snow White and Winnie the Pooh, this collection features nearly 80 different charms to choose from. Share your love of animals with PANDORA pet charms of adorable dogs, cats, horses, birds and more. This collection comes in sterling silver, many of which accented with colorful enamel or gemstones. Of course, there are many more categories of PANDORA charms to choose from! PANDORA’s mission to give women the opportunity to express themselves through beautiful, contemporary and affordable jewelry. That’s why our collection features gorgeous, hand-crafted pieces at multiple price points. Oftentimes, the cost of charms and bracelets varies based on the type of materials and embellishments used. Below we dive into more detail on the cost of PANDORA charms and bracelets. How much does a PANDORA charm cost? As more embellishments such as gemstones or colored enamels are added, which are more costly to produce, average charm prices rise to between $30 and $70 depending on the level of detail. The Flower Garden Charm, which is part of the Murano glass charm collection, is a beautiful example of a mid-priced PANDORA charm at just $55. The most expensive PANDORA charms are gold charms, which are all made from 14K gold. The most expensive charm is the Pave Brilliant Heart Gold Charm featuring real diamonds priced at $620. How much does a PANDORA charm bracelet cost? Ready to find the perfect PANDORA bracelet? 1. Measure the largest part of your wrist with a soft tape measure (printable ruler here). 2. Add 1 extra inch to the measurement to give you the room you need to add charms. 3. Choose the size that is closest to your measurement. How Many Charms Fit on a PANDORA Bracelet? Depending on the size of the charms you choose, your bracelet length, and how you want your PANDORA bracelet to fit, you can typically fit 17 to 22 charms. This number includes two clips and any spacers you pick. In addition, if you choose to add a safety chain, this will take up the space of two charms. your bracelet clasp was to come unclasped, your charms will not fall off. Most classic sterling silver and gold bracelets are divided into three sections separated by threaded areas. 1. Gently open the clasp. If your bracelet has a barrel clasp, insert your fingernail in the groove and gently twist to pop it open, or use the handy PANDORA clasp opener. 2. Then gently screw on your charm over the threading. Once it is over the thread, it will loosely slide into the non-threaded area. 3. To move your charm farther along your bracelet, repeat Step 2 at each threaded area. There are more than 800 PANDORA charms to choose from to create a beautiful and unique piece of jewelry. Whether you’re looking for a special gift or ready to start your first bracelet, below we dive into some tips for picking the perfect charms. seemingly endless options for finding a something that is beautiful and meaningful. The loving bond between a mother and a child is strong and beautiful. There a variety of PANDORA charms, both simple and fancy, that represent that love. Above are a few of our favorites. The love and friendship between two sisters is like no other. Whether you want to be sentimental or remind her of a funny memory, there’s a PANDORA charm that can say just the right thing. Above are some of our suggestions. The relationships we cultivate with our best friends are something we always want to nurture and treasure. Any of the charms below can show your bestie just how much they mean to you. Some charms are even shareable, so each of you can wear a piece that represents your friendship. If you have an athlete or an avid sports fan on your list, PANDORA sports and hobby charms can represent the love and passion they have. Above are some of our favorites that showcase the wide range of sports and recreation charms available. Whether you’re looking to add to an established bracelet as a gift, or expand your own collection of charms, here are a few ways to decide which charms to choose. For many women, their favorite color is a huge part of their wardrobe and accessory collection. PANDORA’s large collection of colored and embellished charms can be combined to create a fun and colorful accessory. To give you an idea, above we feature some charms that can be used to create a red-themed bracelet. PANDORA’s collection of love-themed charms are exquisite and sentimental. Commemorate your romance, wedding or special moments in a bracelet dedicated to love. Above are some of our favorites. From Christmas and St. Patrick’s Day to summer and fall—the possibilities for creating a bracelet that’s the perfect accessory on your favorite holiday or seasons are seemingly endless with the hundreds of PANDORA charms in our collection. Above are some of our favorite winter season and holiday charms to give you some inspiration.